The luxury resort in Prachinburi, center of meeting & seminar of the East which consist of 10 meeting rooms for small and large scale conference. The Convention Hall could contain more than 800 people, including catering for both indoor and outdoor which fully provided the latest light & sound equipment, or open space surrounded by nature. Therefore, resort always receive a trust from government and private organization more than 10 years. Moreover, there are many facilities and activities to serve all guests for most enjoyable and relaxing time such as Thai Massage, Water Ball, Rolling Ball, BB Gun and new activity “Archery” the first in the East. An architecture of Tawa Ravadee Resort was designed to emphasize on the outdoor living space, surrounded by lush greenery land of grass expanse, tranquil lotus ponds, tropical nature plants all year round, breathing air and simply admiring the charm of the Dhavaravadee style. This to make all guest’s relaxation is more meaningful. 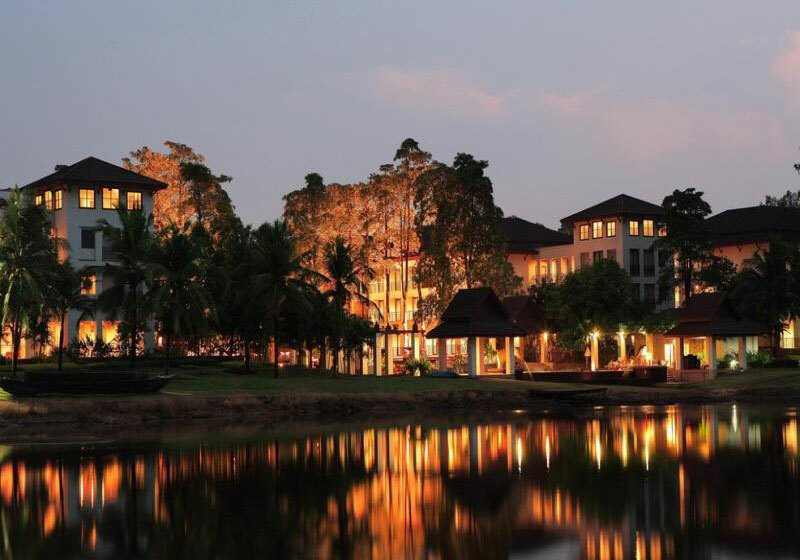 Short Description: The luxury resort in Prachinburi, center of meeting & seminar of the East which consist of 10 meeting rooms for small and large scale conference. The Convention Hall could contain more than 800 people, including catering for both indoor and outdoor which fully provided the latest light & sound equipment, or open space surrounded by nature.